Vintage Chinese poster - being revisited in the current era. If you live in Asia (and can't move), and are not mainland Chinese, you are worried. Witness the revolution in Japan which has seen it switch from purely defensive military capacities to a build up for offensive activities. The Philippines are too poor to do much but complain but have invited the US (and their money) back to the islands after kicking us off. The People's Republic of China claims most of the South China Sea as its own territorial waters. In the Spratly Islands, it occupies seven islands, six of which are shown on the map. The most important is Fiery Cross Reef which the Chinese have built into an air base. 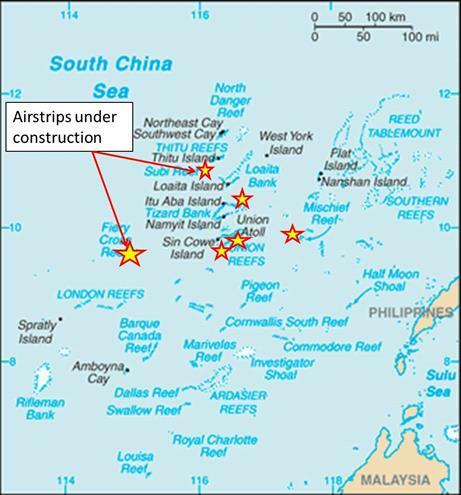 Chinese engineers are also building an airstrip on Subi Reef, but it is less advanced than that on Fiery Cross Reef. China-Association of Southeast Asian Nations (ASEAN): On 5 August,Chinese Foreign Minister Wang Yi said that China had halted land reclamation in the South China Sea. When asked by a reporter whether China would temporarily halt reclamation work in the strategic waterway, he replied: "China has already stopped. You just take an 'aeroplane' to take a look." He called on countries in the region to speed up talks on how claimant states should conduct themselves in the disputed waters. Xinhua reported on 6 August that the Foreign Ministers agreed to speed up consultations for developing a Code of Conduct for handling issues in the South China Sea. The code of conduct idea is China’s proposal for defining how the ASEAN countries should conduct themselves in waters that China claims as territorial waters. Thus Xinhua’s positive spin might not be entirely accurate. The spokesman for the Philippine Foreign Ministry acknowledged that China stopped dredging in the South China Sea, but said, "At the same time, China announced they are moving on to Phase 2, which is construction of facilities on the reclaimed features. The Philippines views these activities as destabilizing." The Chinese have no intention of compromising or negotiating their assertion of sovereignty in the South China Sea. Work continues to complete the construction of airfields and other military facilities on the newly built islands. The Chinese government views negotiations as establishing the terms by which China will permit other states to operate in "Chinese waters". 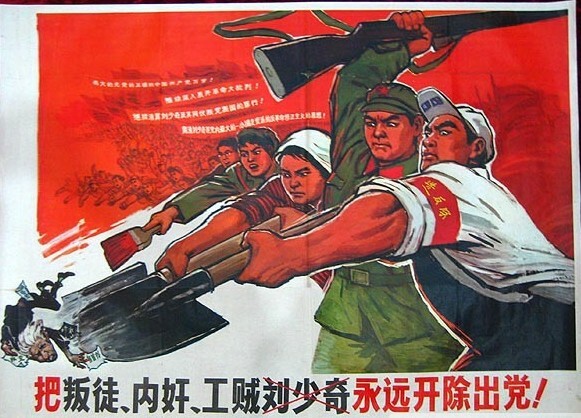 An unprecedented Chinese naval building program and expanded capacity to wage war on the high seas is intended to put muscle behind all of their assertions. So long as the US accepts cut-rate goods from China without demanding fair trade going the other way (China is highly protectionist), we are enablers.